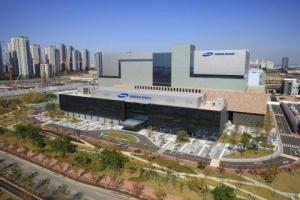 Samsung Bioepis said Tuesday that the European Medicines Agency has granted sales approval for Ontruzant 420mg, a trastuzumab biosimilar (Original: Herceptin). Ontruzant is used to treat patients with early breast cancer, metastatic breast cancer, and metastatic gastric cancer and is the first trastuzumab biosimilar approved in Europe. The company had received regulatory approval for Ontruzant 150mg, the same dose as its original Herceptin, in November 2017. The company launched the product in March last year. Samsung Bioepis had applied to receive approval for Ontruzant 420mg to the EMA after recognizing that product demand and patient needs vary according to the dosage. Samsung Bioepis currently sells Ontruzant in more than 10 countries in Europe and has successfully won various bid orders over the past year as it expanded its market share. Winning bids include a supply deal worth 12.7 million euros with four hospitals in the French Hospital Association. The company has recently extended the contract for Uni-HA, one of the hospitals that had the most significant order volume, until 2021. Also, the company is supplying its products to Denmark through the European country’s national bidding agency AMGROS, while providing its product in the U.K. trastuzumab biosimilar bidding market, estimated at 227 million British pounds.